Are you ready to do something about the signs of aging, but you aren’t ready for major cosmetic surgery? Botox® Cosmetic is an easy and efficient way to reduce fine lines and wrinkles in as little as a single office visit. 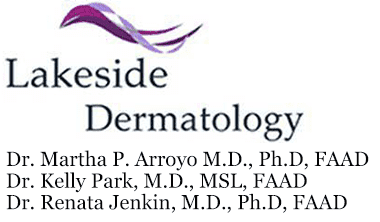 Dr. Arroyo uses Botox to relax forehead wrinkles, crow’s feet, and worry lines for her patients at Lakeside Dermatology’s Gurnee and Libertyville, Illinois, offices. To learn what Botox can do for you, schedule your appointment today. Botox is a cosmetic treatment made from a neurotoxin created by bacteria found in nature. In small doses, Botox is safe to use for aesthetic and therapeutic purposes. Six million Botox procedures are performed every year, making it the most common non-surgical cosmetic treatment around. Botox prevents nerve cells from sending signals to muscles telling them to contract, paralyzing the muscles temporarily. When Botox prevents those muscles from contracting, that reduces the appearance of lines and wrinkles. Botox also offers many valuable medical benefits. It has proven to be effective for treating migraines, excessive sweating, and leaky bladders. What should I expect from my Botox procedure? If you decide Botox is right for you, Dr. Arroyo first decides if you’re a good candidate for the procedure. She looks at your overall health history and reviews potential side effects with you. Pregnant or lactating women, or patients with a known allergy to the drug or its ingredients, aren’t candidates for Botox. Dr. Arroyo discusses how much Botox and how many treatments you need to achieve your desired results. Before the procedure, Dr. Arroyo cleans and numbs the treatment area. She then dissolves the Botox powder in saline before injecting it into the muscle. The needles she uses are tiny, and the procedure is essentially painless. With Botox, there’s no recovery time. You can go back to your daily routine immediately. Within 24-48 hours, you’ll see results that last around four months. Patients rarely experience side effects after Botox. However, the most severe side effects you’d see are mild bruising and headaches, which would go away within a few days. Drooping of the eyelids is another rare side effect that usually resolves itself within a few weeks. Book your appointment online today to see if Botox is an option for your fine lines or wrinkles.